This quick guide should take you from a streaming novice to confident broadcaster. When doth cometh the Lord GabeN, bearing gifts? Every yuletide, of course! Every year, Steam has several sales, usually coinciding with the various holidays. Two days ago, Steam’s Winter sales started, bringing down the prices of over 10,000 different games. Some people would say that 10,000 is a large number of games, and we would agree. We have combed through the sales, and picked out about 60 titles that we liked the most. We split the recommendations in bigger and smaller titles. Since there are so many games on sale, we only looked at games with discounts of 50% or more. Still looking for the right gift for the PC gamer in your life? If you haven’t checked out Yuki’s channel before, he makes great videos on custom PC builds and 4K gameplay footage. Really, check it out. Windows 10: What’s New, and How Does it Perform? As of today, Windows 10 is officially here. On the whole, the initial reviews are very positive, even if some might caution to wait a month or two before upgrading to avoid the early kinks and bugs. So, what’s new about Windows 10, how does it perform, and why should you (eventually) upgrade? We just want to glide over Gotham at 60 FPS. Once again, PC gamers have been reminded to never trust a console port on launch day. Yesterday, Batman: Arkham Knight launched simultaneously on consoles and PC. It should have been a joyous occasion for PC-gaming Batman fans, but it wasn’t. The problem? Arkham Knight’s PC port is apparently “disastrous,” “garbage,” and “suffering from major issues.” AMD and NVIDIA players are both reporting major framerate and audio problems, the game comes with a default 30 FPS cap, and the textures on PC are allegedly worse than the console versions. E3 is almost always an exciting time for gamers, and this year has brought an especially healthy amount of good news for the PC. So, we made a list of our favorite things! Let’s get straight to it. tl;dr If you want turn-based tactics, this is one of the best! Now that the aliens have invaded the earth and started abducting and terrorizing its people, a task force has been set up to defend humanity, to study these aliens, and maybe even to fight back! 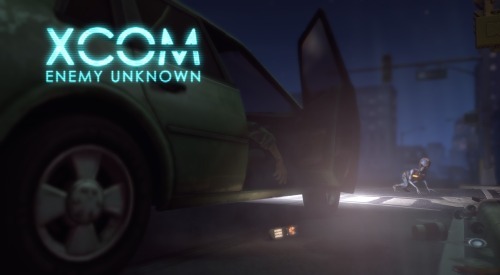 XCOM: Enemy Unknown puts you in charge of an elite squad of soldiers, and expects you to lead them into battle against impossible odds. Good luck, Commander! Does FPS Matter? Decide for Yourself. Some of the silliest myths in gaming are related to framerate, or frames per second (FPS). Some people will tell you that the human eye can only detect a certain number of frames per second, or that an FPS of 24-30 will produce a more “cinematic” gaming experience, as the standard framerate for movies has been set at 24 FPS for nearly 100 years, and television often displays at 30 FPS. On the other end of the spectrum, some gamers will claim that you need a certain FPS to truly enjoy your gaming experience. They’ll say that running below a certain FPS is like a “slideshow” because of how few images are being rendered each second. In reality, the only framerate that really matters is the one that is acceptable to you. Generally speaking, however, a higher framerate is better for gaming. And as PC gamers, we have the power to adjust our game settings or build our computers to achieve a desired framerate. tl;dr Good gameplay, bad graphics. If you have never heard of the Ys games, I do not blame you. The name is weird, the artistic style is “anime-like”, and the games are not (yet) mainstream. Wikipedia says that there are 7 or 8 Ys games, but only 3 of them are available on Steam. 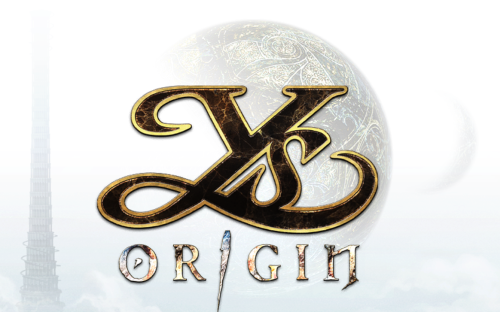 From those 3, we take a look at Ys Origin, the first game in the series (chronologically). In Ys Origin, you are part of a search party that is looking for a pair of goddesses who are missing/hiding in a tower.